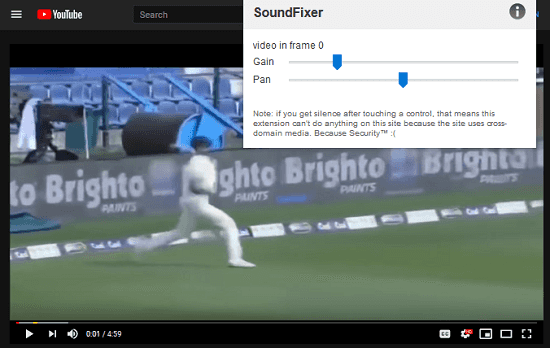 SoundFixer is a free Firefox addon to fix sound issues in YouTube. It adds additional sliders for Gain and Pan controls that you can use to fix various sound problems. It works on other sites too but not all. It lets you control the audio in YouTube video if it is too quiet or loud. And if there is only one channel audio in the video you are watching then you can use it too. Though, you can use the audio normalizer software for this but it more convenient to tweak the sound parameters from the browser directly. Many a times, on YouTube video some of them are very loud at minimum volume and sometimes they can be so quiet at peak volume. I am a regular YouTube user and I frequently face this issues on songs and prank videos. And that is where this simple Firefox addon is helpful. You can easily tweak the pan and gain of the incoming sound from a YouTube video to make it sound comfortable. How to Fix Sound Issues in YouTube Videos using this Firefox Addon? 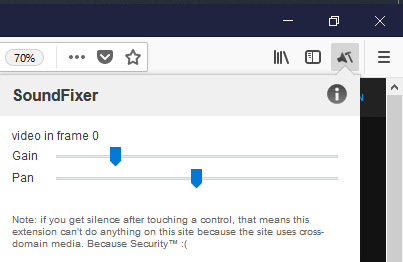 SoundFixer is an open source Firefox addon too which you can use to fix sound issues in YouTube videos. And it is pretty simple to get started with this. Just install this from Firefox addon center and then you will see its icon in the Firefox toolbar. Now, to use it, simply click on its icon to see the sliders to apply gain and pan. Whenever you come across a video which has an abnormal audio then you can simply use it there. However, the settings that you do a video are not remembered. And this is the only downside I see in this addon. In the above screenshots, you can see the soldiers that this simple addon adds in your Firefox browser. And you can use it very easily on sites like YouTube which is not a cross-domain. 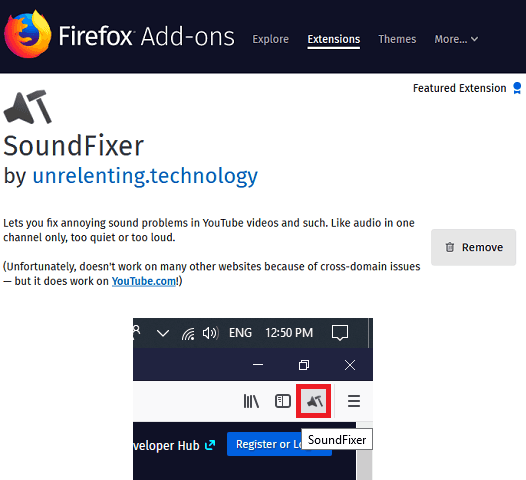 SoundFixer is a useful addon for Firefox which you can use to fix audio issues on YouTube videos. If you often face the audio issues on YouTube then you can use this Firefox addon. It works perfectly on YouTube videos and some other websites too.